My film project has gone quiet at present, partly because I unexpectedly had to undergo surgery due to a medical error. Because of a totally benign mark which might, or might not have been (it wasn't), I was scheduled for a 'needle' biopsy - a very minor procedure, except that in my case I was given, in error, a 'core' biopsy under a local anaesthetic which damaged an existing breast implant, so fairly swift surgery, due to possible infection, was vital, and my implant, which had been in place for almost seventeen years, had to be removed, to be replaced in around three months. Apologies and horror all round except from the female whose error it was - from her department I received a routine repeat appointment. Unsurprisingly, I've filed a serious complaint. 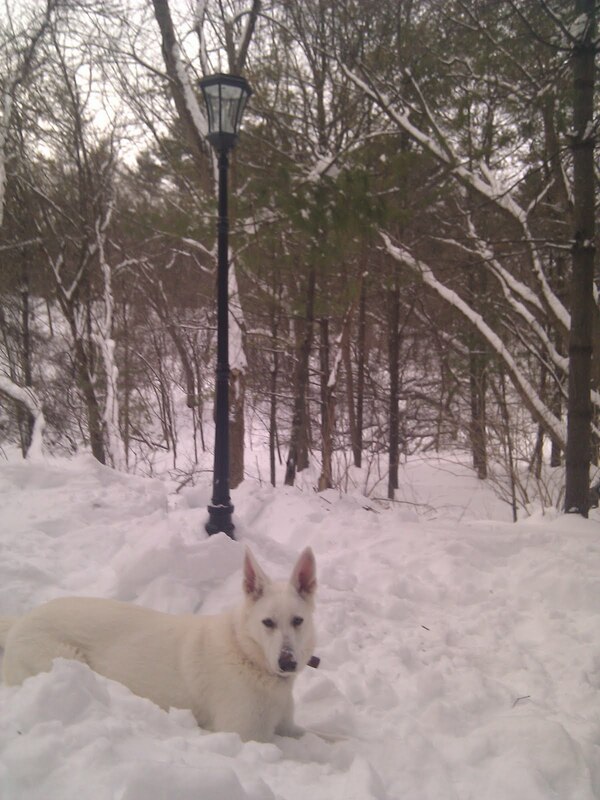 Persuaded by my daughter, I submitted a curious adult novel to Unbound, and had it accepted for crowd-funding. The deal is that I have to raise £4000 in 'pledges' - this for an eventual ebook plus paperback which in theory I could do myself for nowt. 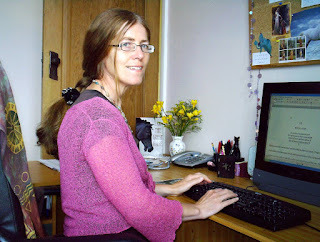 They offer editing, typesetting, marketing and an authors 'den' in which I can interact with readers. Unbound does tick my requirement for a respectable publishing 'umbrella' - one of their books was shortlisted for the Booker, and they have also won production prizes. My agent has a client who's gone that way, seemingly successfully. When I posted this to colleagues on Facebook, there was an instant no-no, but what do you think? Have you looked at their site? Have any of you ever considered going that way? Fourth Estate has just published a serious book on Time Travel, by James Gleick, and I've been reading its Times review. I didn't know that Stephen King had written a novel: THE DEAD ZONE, based on the concept of someone going back in time and killing Hitler - I must read that. And THE IRON DREAM, by Norman Spinrad, in which Hitler doesn't make it politically in Germany, so emigrates to America where he becomes a third-rate fantasy writer with novels based on the triumph of the Nazi Party. Time Travel might be loosely related to reincarnation, only in the latter, some kind of god is involved. Me, I've always fantasised about returning as a bird, but I'd still want to retain my human knowledge of the fact that once I'd been earth-bound, and now I could fly - otherwise I'd just be a bird and nothing else. I'd like to reincarnate backwards in time, and have fun with being Cleopatra for a while, but then might her personality be distorted by my interference? Probably yes, and I'd certainly avoid the asp, thus almost certainly changing the course of history. I have just read the best book on the writing life since William Goldman’s “Adventures in the Screentrade”, which is now more than 30 years old, so this is praise indeed. The book in question is called “Pretend I’m Not Here” by Barbara Feinman Todd, who started as a journalist on the Washington Post and became a ghostwriter for Carl Bernstein and Bob Woodward, (as in Dustin Hoffman and Robert Redford in “All the President’s Men”) and for Ben Bradlee, their editor, (played in the film by Jason Robards). She then went on to ghost for Hillary Clinton, while she was First Lady, and gives a riveting insight into life in the Clinton White House, and the back-stabbing world of Washington politics and journalism. In the process she sheds considerable light on how Mrs Clinton came to lose the affection and respect of the American people so dramatically. The book perfectly captures the mechanics of what it is to be a ghostwriter to the very rich, the very powerful and the very interesting. I cannot recommend it highly enough. When I started writing Shambala Junction in Amsterdam in 2009, I had no idea that there was a traumatised young man named Saroo Brierley. Oceans away from me in Australia, he was desperately searching satellite images on Google Earth, trying to find a way from Howrah railway station to the home he lost as a child in India. I had angrily started to write my novel, tentatively titled Finding Piya, after reading a short news article in an Indian community newspaper about babies for sale in India. The article described a flourishing trade in unscrupulous international adoptions operating out of India. 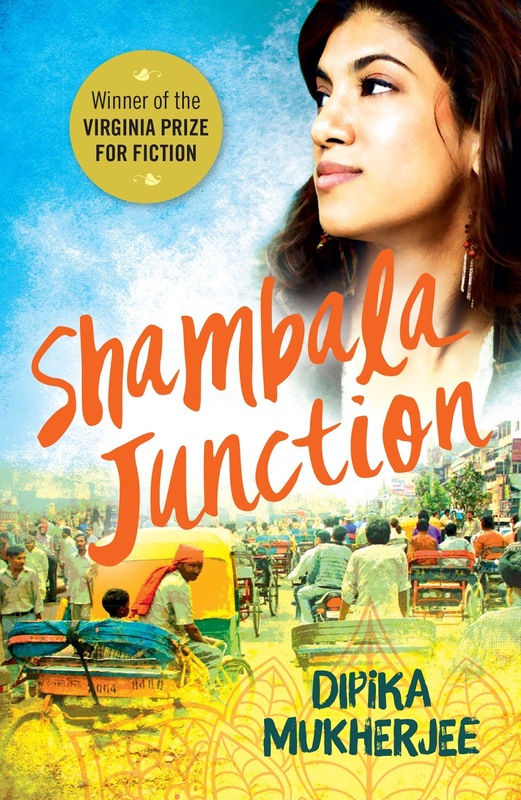 Shambala Junction was published in 2016, after winning the Virginia Prize for Fiction in the UK. Also in 2016, the much-feted movie Lion opened in movie theaters worldwide starring scene-stealer Sunny Pawar, as well as Dev Patel and Nicole Kidman. Lion is based on Brierley’s memoir (A Long Way Home, 2013). Although Saroo Brierley was not an orphan, he had been adopted into a home in Canberra. The adult Brierley’s flashbacks would take him on a long journey to find his family in India and Lion puts a human face on a real problem in international adoptions; children who are not orphans can be torn from their roots and birth families and given up for international adoptions. In a market where rich foreigners pay in thousands of dollars to adopt and children are sold for mere hundreds, there is the potential for corruption, and this is where Shambala Junction starts its story. 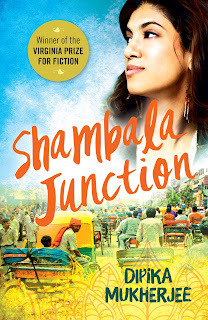 Shambala Junction begins with an Indian-American woman, Iris Sen, getting lost in a railway station after she steps off a train to buy a bottle of water. She is rescued by Aman and gets embroiled in the search for Aman’s baby, Piya, who is being offered to Western homes although her family desperately wants the baby back. Finding Piya was the original title for this novel, which is at heart a thrilling chase to find the missing Piya. I changed the title because the book became so much more than just a chase, and the Buddhist connotations in Shambala are important in this book, as well as in India, where the sacred coexists with the profane on many planes. Shambala Junction is about a person wanting to do good, about stumbling our way through a gray world, making terrible mistakes, but ultimately doing the right thing even when it comes at a high personal cost. I hope the characters in this book – especially the women—will shatter some stereotypes about submissive Asian femininity (as the real activist Gulabi Gang is doing). I want to open dialogues on social issues through this book and I am delighted to see that the initial reviews on Goodreads and Amazon show readers engaging with these serious issues despite the distractions of a high-stakes chase! Unfortunately celebrity adoptions – like those by Madonna or Brangelina – gloss over the realities and do little to address the real-world problems underlying international adoptions. As recently as on Feb 6, 2017, the BBC covered Madonna posting instagram pictures of her adopted Malawi twins and writing "I am deeply grateful to all those in Malawi who helped make this possible," before appealing for privacy from the media during "this transitional time." What doesn’t appear in this happy picture is the other child she adopted in 2006, David, who was not an orphan as his father (and grandmother) were alive; also, as the Guardian reported, adoptions to foreigners was illegal in Malawi and Madonna had to fight a legal battle for his custody. An NPR article on David's adoption questions Madonna’s intentions by linking the issue to slavery. Corruption in international adoptions IS a human rights issue, but there is no outcry because the children are frequently taken from impoverished homes into a more affluent life -- as shown in Lion -- and for many, that alone justifies the means. This is a highly contentious issue with some adoption agencies pushing agendas like Kidnapping for Jesus. But surely there are many ways to improve the future of impoverished children without transplanting them out of familiar places where they surrounded by loved ones, especially as most are taken at an age when they are unable to articulate a preference? The cost of doing good should not be based on a geography of entitlement, where adopted children prosper in new western homes, leaving their natal homes fractured in the process. I'm enjoying the book I'm reading on my kindle. Although it's hard to put your nose in a kindle. I have found that when you read in bed and doze, the falling Kindle strikes your nose a far more destructive blow than a paper book. Wakes you up. This hasn't stopped me, though. 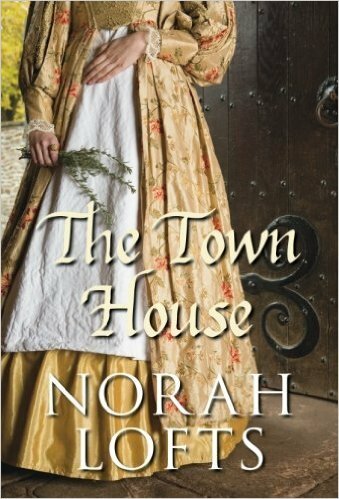 The book I'm reading and thoroughly enjoying at the moment (despite the risk to my nose) is The Town House by Norah Lofts. I've just finished her similar Bless This House. Bless This House was first published in 1954, before I was born. The Town House, first published in 1959, is the start of a trilogy, being followed by The House at Old Vine (1961) and The House at Sunset (1962). Bless This House is almost like a test-run for the trilogy, though it is a very good read in its own right (write?) It tells of the building of a house during Elizabeth I's reign and then, in a series of linked short stories, follows the people who owned it through the centuries for four hundred years. The reader has an understanding that the characters lack. 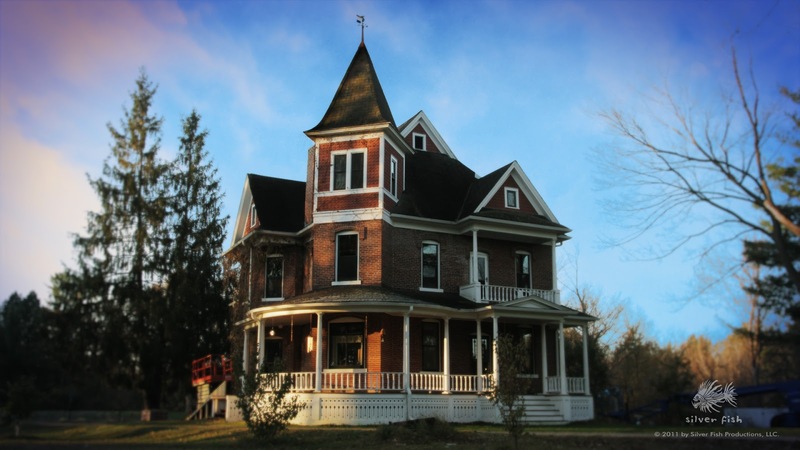 For instance, a girl living in the house during the 19th Century finds that a dreadful, paralysing sense of despair grips her whenever she goes near a window-seat in the Great Hall during daylight. If she enters the room at night, despair becomes terror. She doesn't understand it, but the reader knows who it was in an earlier century who first experienced that despair and left its mark on the house. 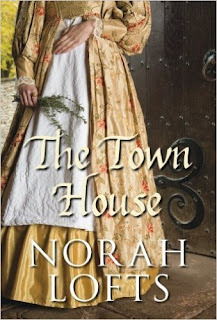 The Town House and its sequels take the same idea, of a house and the passing centuries, and extend it. The first book begins in 1391 and follows the building of 'the house at Old Vine,' the people who lived in it and the times they lived in. The final book tells of the house, still standing, in the 1950s which was, when Norah Lofts wrote it, the present day. 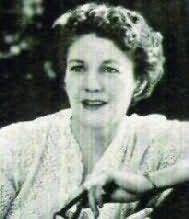 Born in 1904, in Norfolk, Norah Lofts came from a farming family - she said that all of her male relatives, for living memory, had been farmers. Her understanding of farming and the seasons, her love of the countryside's beauty are strong elements in her writing. Each story is told in first-person narration and few of the characters, seen like this from the inside, are especially likeable or have noble motivations. Some are desperate in love, others vengeful, ambitious or selfish. In the next story we might meet them again, years older and seen through the eyes of a character from the next generation. We see how time has changed them and how they are judged by those around them. We, the readers, who know far more about them, may think that judgement too harsh or too kind. Norah Lofts understood that no matter how hard some people work, no matter how much they hope or love or pray, the indifferent world goes on turning through its seasons and is not influenced by hard work, hope, prayer or love. What happens, happens - and if things turn out well for us, we think that it's our optimism or prayer or effort that made things fall that way. But it was simply luck; and for many other people, just like us, things went badly. I first read these books when I was a teenager and loved them. As always, when you return to books you enjoyed when so much younger, I feared that I would be disappointed. Instead, I've been impressed all over again. But here I was, reading them on a nose-bruising kindle. When I first read them, let alone when Norah Lofts wrote them, I don't think anything like an e-reader was dreamed of even in Science Fiction. It was a time when people who actually worked in the computer industry predicted that there might be a world market for about twenty computers. This, of course, was when even the most excitingly modern computers were the size of a room and packed with big glass valves. Now, I carry my little hand-held computer about with me from room to room, as I always used to carry a book - except that the kindle holds a whole bookcase of books. Reading on it has become as ordinary to me as switching on the light or filling my kettle at the tap - ordinary things which are also quite astonishing and trail a long history behind them. 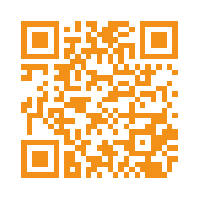 I also publish on the kindle and that, too, has become quite ordinary to me even though I only began five years ago. How quickly miraculous things become mundane. When I began self-publishing, only five years ago, I was working in an university as a Royal Literary Fund Fellow. I remember students becoming excited when they spotted my kindle. "Is that one of those electric reading thingies?" I had to switch it on and show them how it worked. They were agog. I remember reading my kindle in a pub as I waited for my agent. It was a rather posh pub on the outskirts of Oxford and a retired general type stage-whispered to his wife: "That lady has one of those e-book gadgets." And when I read it in a cafe, the waitress quizzed me about it: Was it easy to get books for it? Was it easy to download them? Only she wanted to encourage her sons to read and she thought they would read an ebook more readily than a paper one. 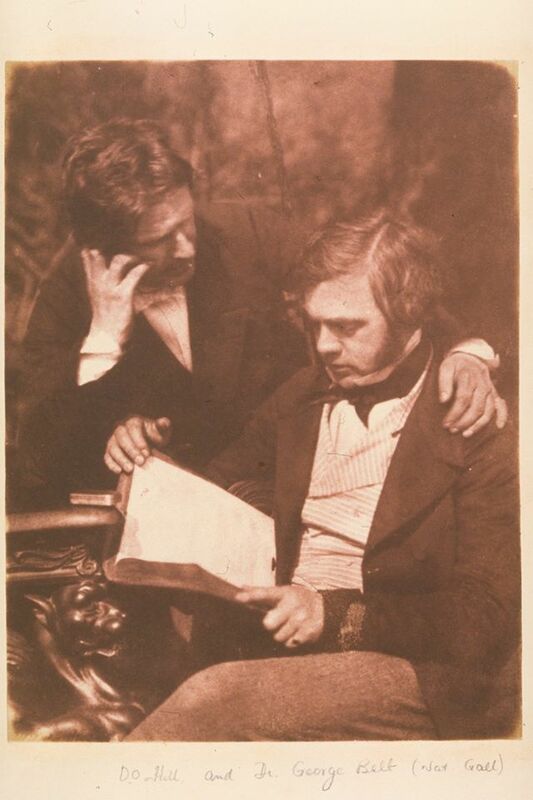 These days, who would notice an ebook - except perhaps to sneer at it for not being the latest smart phone? Susan Price's historical trilogy The Sterkarm Handshake, A Sterkarm Kiss and Sterkarm Tryst, can be found here. I once had dinner with Joseph Heller because I told him at a signing that I was writing my Master's thesis on his work. I had to explain to Kurt Vonnegut at the same dinner that no, it wasn't because Slaughterhouse-Five wasn't good enough for me. (from an entirely unrelated event) will have to suffice. I used to play D&D with a World Fantasy and Bram Stoker Award winner. I correspond regularly with another Bram Stoker Award winner. I've eaten several lunches with T.E.D. Klein. I used to work with the guy who wrote the Wishbone books. I am also good friends with both Kelley Wilde and our own Reb MacRath, and you all know of my friendship with Richard Monaco. I would love to meet Neil Gaiman, have a few beers with him, walk around the woods with him, and talk about sprites and elves and The Endless. I mean, of course it would be Neil Gaiman. But over the last few days, I've thought about it, and I'm not entirely sure if I would. Here's the thing about meeting our idols: They inevitably turn out to be just like us and not the gods or demigods our imaginations make them out to be. Some of them are petty, some of them are annoying. Most, though, are all genuinely good people, people you'd really like to know. 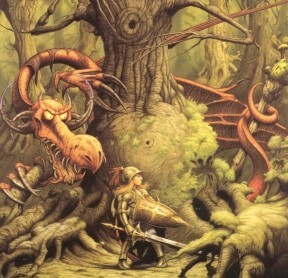 People you'd have a beer with, walk around in the woods with, and talk about sprites and elves and The Endless with. But people nonetheless. They are not magic; they are mundane. And I'm not sure I want Neil Gaiman to be mundane. 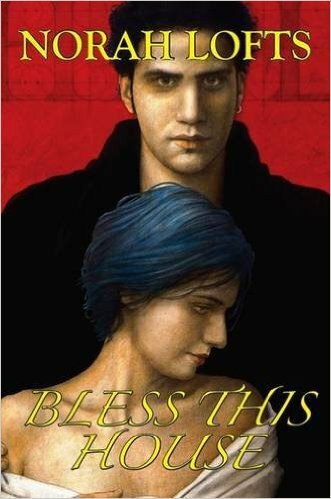 For me, the charm of Gaiman's writing is the way it seamlessly blends the real, mundane world with the enchanted world of Faerie. Our world may not be the world evolved from J.R.R. Tolkien's Middle Earth, but Gaiman's worlds damn sure are. And only a person who was truly touched by Faerie himself could conceivably create such worlds with his words. 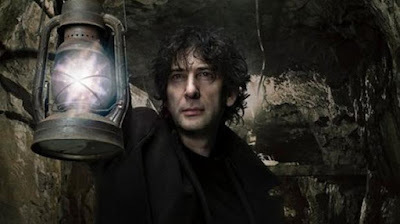 And if Gaiman is truly touched by Faerie, it does not matter if I am not. It means that magic is really real as are sprites and elves and maybe even The Endless. It means that the world is not really as mundane and boring as it seems most of the time. There is a chance, albeit small, that I might actually see fairies dancing in the woods by mushrooms or see a ghost or converse with a raven. I know, I know. It seems like it would be hard for Neil-freaking-Gaiman to be mundane. he lives in a fairy-tale house. 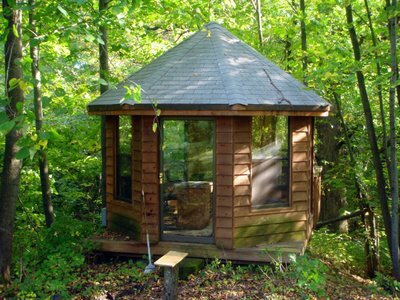 He writes in a wee little turret in the deep green forest. 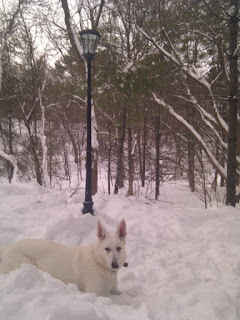 He has a Narnia lamp post in his woods. Hell, he even knows real, honest-to-god-wizards. If I met him, though, that would change. As soon as he had to slip off to take a leak or belched or smelled of sweat, I would understand that he is a regular person, just like me, with bills to pay and worldly obligations to meet. His house is just really pretty, his gazebo has a screen door, and if I dug deep enough, there'd be wires under the lamp post. I would know, too, that his world is the same old mundane world that I live in, complete with global warming and questionable politics and murdered children. So I think I prefer the hope of magic over the certainty of decay. Oh, who am I kidding? I'd totally meet Neil Gaiman if given the chance. Neil, if you're out there, I'm on Facebook, man. Look me up. I got the first round. A few weeks ago I was lucky enough to be invited to read at Novel Nights, a regular event in Bristol where local writers get the chance to air their work in progress. I’ve been a fan of these evenings for quite some time and have followed them over two changes of venue. Since guest speakers have been added to the programme, there’s the bonus of picking the brains of a writing or publishing expert. 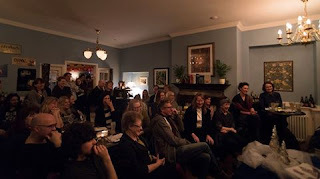 And the cosy vibe encourages serious questions rather than the celebrity worship of high profile literary events. In January, the guest was Celia Brayfield and the theme historical fiction, the module Celia leads on the Bath Spa M.A. As the guest is last to take the floor on these occasions, it gives writers (if they're anything like me!) the chance to recover from the anxietyof reading to an audience and take in the words of wisdom. So here are Celia's edicts for writing Historical Fiction, at least as I recall them. 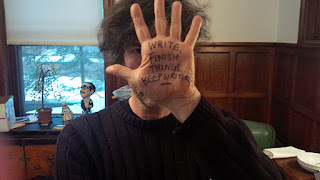 Well, this is advice I have ignored more than once, which is probably why I have so far failed to write a historical novel. But being a slave to history rarely leads to anything satisfyingly novel-shaped, no matter how compelling the original story. I can also think of a number of historical novels by respectable and respected writers who have fallen in to the trap of not putting fiction first and, probably out of respect to their historical heroes/heroines, left me distinctly underwhelmed by the whole undertaking. I think this is particularly the case where the main character is a well-known historical figure. The use of a fictional or little-known minor character can be a useful alternative. (e.g. Tracy Chevalier's Girl with Pearl Earring works much better for me than Burning Bright or Remarkable Creatures). At the moment I'm finding in my own work that increasing the fictional material really does free up the narrative without requiring me to give up on what I know to be true. In my short career at Bath Spa I wrote an essay (remember those?) 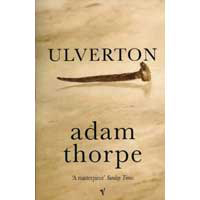 on dialogue in historical fiction, based on a reading of The Help (yes, this is history, folks) and Ulverton (if there is such a thing as extreme historical fiction I think this might be it). Sadly I can’t remember my exact conclusions but I think Celia was right to point out there is no one right way to make historical dialogue work, but somehow you have to find your own way of doing it. Of course now that we all follow in the footsteps of Wolf Hall, the challenge is even greater. All I can say on my own behalf is that I know how I hear mid-Victorian Scottish voices and will just have to hope for the best it works for other people! Here I have no argument whatsoever. The difficult thing for me, having immersed myself in this particular time and place, is to notice when I am indulging in it! Which is of course where my writing group and all other sources of feedback, including Novel Nights, are an absolute godsend – only fresh eyes/ears can spot where I have been unable not to tell the reader something I think is fascinating and germane to the plot when it is actually just a distraction. *But how did they talk? I’m not sure that Novel Nights changed my views of historical fiction, but it was a very valuable reminder of the things that matter. With hindsight, I also think my current approach of switching to short stories rather than a novel, does help with the main difficulties. Somehow in a short story it’s easier to let go of the historical events and create fictional scenarios. In the narrower focus of a short story it’s also easier to spot and excise unnecessary exposition. That just leaves us with the dialogue. I think I’ve already written about using indirect speech as a way of compressing dialogue, but that has limited application. So I’m falling back on my gut feel - seems as good a place to start as any! Ali Bacon writes contemporary and historical fiction. At the moment she's working on a collection of themed short stories inspired by the life of a Scottish artist and photographer. As electric authors, chances are that we (and you, our readers!) are using various electrical gadgets - computers, smartphones, etc - and swimming in wi-fi signals every day without thought to the consequences. Like me, you've probably suffered the occasional lapse of concentration and general brain-fog, putting it down to overwork and the mass of data coming in from all angles, 24-7. But there's another scarier possibility... that our wi-fi might be killing us, or at least killing our creativity and general well-being. I first noticed these 'brain-fog' symptoms about 7 years ago, a few years after I'd moved from a 17th century cottage with 22-inch thick stone walls in the Wye valley to a brick-built bungalow in Torbay, which might be within walking distance of one of the best beaches in south Devon, but is basically an urban environment with a rapidly-growing collection of masts at the top of the hill. There's a sign on the gate advising people not to enter. 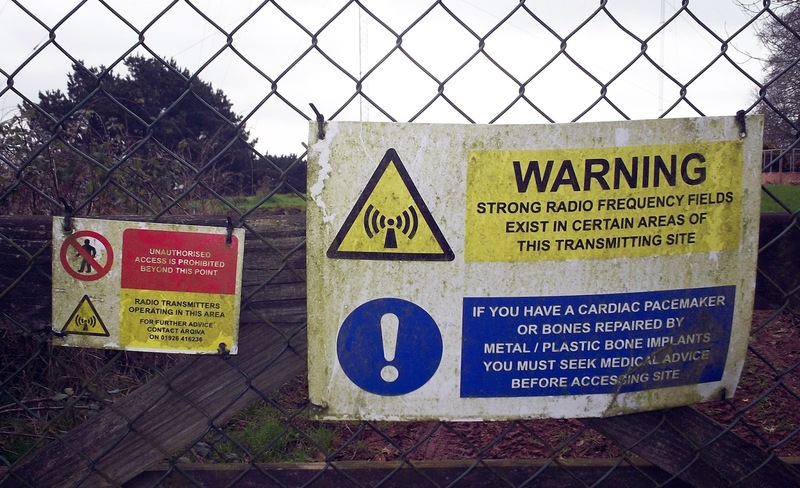 Along with other worrying warnings, it says: "IF YOU HAVE A CARDIAC PACEMAKER OR BONES REPAIRED BY METAL/PLASTIC BONE IMPLANTS YOU MUST SEEK MEDICAL ADVICE BEFORE ACCESSING THIS SITE". Rather worrying for the older folk whose bungalows are just down the road, I should imagine! These 'necessary evil' masts are about a mile up the hill from my house, but there is a smaller version at the end of my road diverting signals down into the valley, and of course all my neighbours have personal wi-fi in their homes which they never seem to turn off, not even at night. Wi-fi generates an electromagnetic field (EMF), along with mobile phones, digital TV, the new smart meters, and just about any electrical appliance - invisible, tasteless, odourless, but still working on your body, and (presumably to an even greater extent) your brain. I am not paranoid enough (yet) to possess an EMF meter, but even my ancient 3G Kindle that barely connects to 3G any more dutifully lists up to 18 wi-fi signals in my bedroom, some of these stronger than my own - though annoyingly padlocked so I can't simply cancel my broadband and use them! I always turn my wi-fi off at night, but I can't go around turning off all my neighbours, or I imagine they'd have something to say about it. It's rather like passive smoking, only you can't see the smoke. So is too much (and too strong) wi-fi a problem for creative people? Well, yes, I think it might be. I've noticed a slow decline in my creativity and ability to concentrate since I moved. If I have my broadband on at home and use my laptop for any length of time, not only does my head turn to fuzz, but my legs actually start twitching... although, admittedly, taking the machine off my lap and using it on a table helps. OK, forget the twitching, that's probably just bad posture and the warning signs of repetitive strain injury. Probably. Now, before you think I'm one of those old-school authors who shuns modern technology and bemoans the passing of the quill pen, I should point out that I was a computer graduate in the early 1980s, before anybody had even heard of home computers let alone got two or three gadgets in every room. I appreciate that I couldn't have re-published my out-of-print backlist titles without a fast broadband connection, as we've had in Torbay ever since I moved down here - in fact, I was one of the first UK authors to take advantage of amazon's (then) DTP, now the KDP. So I'm not against technology, I make too much use of it for that. I'm merely old enough to have lived with these technologies for a while, and to remember what it was like to be an author/creative human being before they, along with the associated constant connectivity, became an unavoidable part of our lives. So bear with me, because there just might be something in this. I did not have broadband, or its associated wi-fi, until I moved to Torbay. I used a dial-up internet connection for emails, and did not surf the web very much at all - it was deathly slow, and many newer websites would not load, anyway. Also, we did not have digital TV in the Wye valley, just analog. In fact, we went digital down here in Torbay a couple of years earlier than the rest of the country... were they experimenting on us, maybe? If so, nobody did any studies as far as I am aware. Analog was much easier on the eyes in my opinion, also less prone to annoying interference from people's hairdryers etc - anyone else noticed that glitch where people's mouths open and close a couple of seconds before their speech comes out? Weird. But let's not get distracted. I can control my 'brain-fog' symptoms by walking on the beach when the tide is out, or taking a cycle ride out into the countryside, where I can breathe and think, away from people and their endless gadgets. I feel better if I go away to the mountains, the moor, anywhere there are fewer houses and fewer people. I feel at my worst when I visit a large city. London was always stressful to visit, but even local towns have this effect now. Up to now I have resisted buying a smartphone, because the thought of being connected to wi-fi at all times is slightly alarming, though probably everyone else's phones are doing me just as much damage, or - more likely - all the wi-fi hotspots springing up everywhere. It might be my imagination (as a fantasy author, I've got quite an active one), but I just can't think straight in an area with too many EMF signals. Oh, I can still do the maths puzzle in the paper, and work at my writing, but I don't feel sharp, at least not like I did before. And it seems I am not alone. 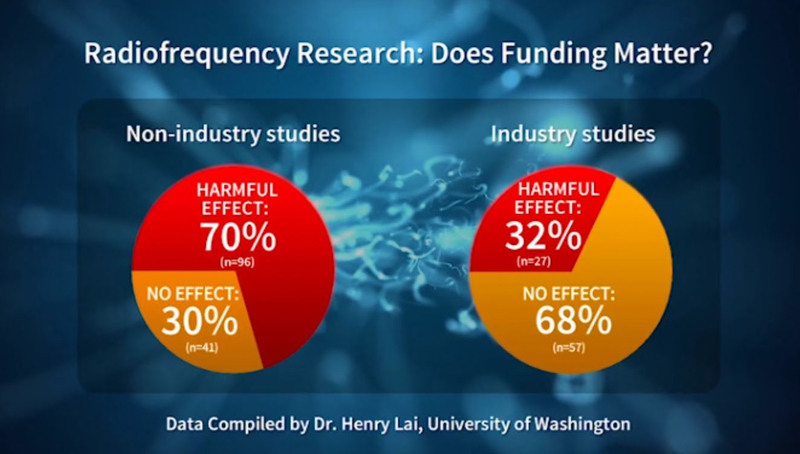 claims: "Exposure to EMFs of specific frequencies and intensities has been linked to depression, memory loss, loss of energy, irritability, inability to concentrate, chronic fatigue, headaches, weakened immune system, cancer, brain tumours, Alzheimer's, autism, childhood leukemia, birth defects, accelerated aging and miscarriages." Other people think so too, including scientists and medical doctors. Here is one of the more balanced sites talking about EMF: https://www.emfanalysis.com. Finally, if this post resonates with you, here's a short film from the EMF Refugees page regarding one woman's search for a home that does not make her ill. Although it might seem a bit extreme (thankfully I don't have EMF sensitivity to that degree, at least not yet!) I think it's a warning of where we might be headed if we keep on building all those masts and covering the greenbelt with wi-fi signals. So am I simply crazy/menopausal/lacking some essential mineral/making excuses for not being a mega-bestselling author yet? Or is anyone else out there also suffering from a dose of suspected 21st century brain-fog? More on the way... keep an eye on Katherine's website. So, after twelve up-and-down (mostly up) years, the Clucket Press is winding down. This year, we will re-publish The Silkie with beautiful new illustrations by Anne-Marie Perks, using PoD. That will fulfil a promise I made to myself a long time ago. We also plan to bring out Rainbow! A colour-it-yourself picture book with glorious pictures by Bee Willey, and that will be it. The other surplus books have already gone to Book Aid International and I can now walk round my workroom again. Hooray! What now, then? Scary freedom... I may have mentioned before (ahem!) that I’ve always had a yen to be a poet. When I did mention it, and my shortcomings, someone responded that they thought poets were born rather than made. Gloom! Was I doomed, then? Wrong genes? Also, I’d once sent a tentative poem to a friend who is a well-known poet and her response was ‘Your gift is other.’ Boo hoo. But lately, thinking about it, what we are born with or without isn’t the be-all and end-all or many of us would be sunk at the moment of launching. There’s learning stuff and practising and getting it wrong and trying again, harder, isn’t there? Furthermore, while I’m getting up a head of steam, what is success? I’m not thinking in terms of a collection, a submission to the Forward prize, etc. Just to be able to capture that moment, that thought, that feeling, in a way that is pleasing and, with any luck original, and that makes people see it or feel it anew. At worst, for ‘people’ read ‘me’, although sharing and provoking reactions is a lot of the fun. Fun! Yes, in the middle of all this agonising I’d forgotten what a joy it is to write poetry. The first thing I can remember writing, as soon as I could write, was a poem. I’ve been doing it ever since, mostly just for the sheer enjoyment of creating something. It can be deceptively easy to crack out a rhyme, a piece of doggerel, though, and I’ve done plenty of that kind of thing. Now I want to move past the ‘easy’ and into the challenging. How? I came across the 52 Project, created by Jo Bell and guest poets. It is to write a poem a week, from prompts and ‘trigger’ poems, for a year. Not just to write, but to read lots of poetry too (no hardship!) and to spend proper time over it and stretch yourself as a writer. I roped in a writer friend as I thought if we both did it we could encourage each other to keep going and also act as critical readers. Here we are at week 8 and it has been much harder than I thought, but marvellous – not only am I writing regularly now I have more time, but it is spawning other unrelated poems as I work and some of the themes and prompts have resulted in two poems. The only downside is that it is a rush - NOT the way to do one’s best – but of course there is revision and re-revision and...etc. Total immersion! Because I’m a writer and that’s how a writer’s life is, I’ve submitted one or two here and there and had the usual complement of successes and rejections, but that is not what matters. It is the absolute joy of working hard at a craft and seeing the thing grow and take life under my fingers. It’s letting myself be what I want to be. Yeayy! In moments of idleness random subjects frequently leapfrog through my mind in rapid succession, turning subjects not merely on their heads but morphing them into something else entirely. 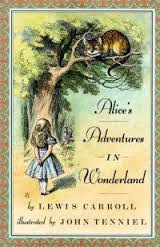 I am a lifelong devotee of Lewis Carroll’s Alice in Wonderland and its companion Through the Looking Glass. I loved these books as a child and again in my teens when they were must-read volumes of the ‘flower child’ revolution, and I have loved them ever since. So when I came across a gloriously OTT reading of Carroll’s Jabberwocky’ by Benedict Cumberbatch I was delighted and shared it around with glee. In the very same week the great actor Sir John Hurt passed on, and in the plethora of obits and postings on social media I spotted a clip of Hurt reciting the same poem on the Charlie Rose show. I was blown away. 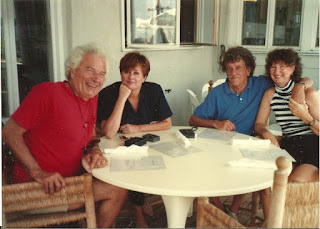 It set me wondering if, despite a lifetime of avoiding designer and celebrity culture, I had connected them through synchronicity, or familiarity, or a combination of the two. Had I viewed either link because it was ‘The Jabberwocky’ or because it was recited by two favourite actors? Are we pre-programmed to be a member of the pack? That question in turn reminded me of a recent conversation amongst fellow writers discussing the merits of a series featuring a specific protagonist against stand alone novels. And the conclusions of that particular debate? That there is much to be said for fresh and innovative fiction, which stimulates the imagination with the joyous exhilaration of venturing into the unknown. On the other hand which of us has not settled in front of the tv to watch a favourite cop show or soap because nestling in that comfort blanket of familiar faces and scenarios is often every bit as enjoyable. 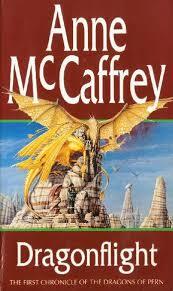 I have, for example, read and reread the SF ‘Pern’ books of Anne MacCaffrey avidly over many years; likewise, Christie’s ‘Marple’ and Sayer’s ‘Wimsey’. These are fictional characters whose exploits are all the more exciting because the lead character is an old friend. In my case this extends not merely to the Dragon Riders of Pern, Miss Marple or Lord Peter Wimsey, but also (amongst many others) to Paul Finch’s deep and frenetic ‘Heck’, Chris Fowler’s delightful ‘Bryant & May’ or our own Debbie Bennett’s dark tales of ‘Michael’ or ‘Lenny’. We read them because we care about the fate of well drawn fictions and, not withstanding whether or not we’d invite those characters around for tea, we do want to know what happens to them. 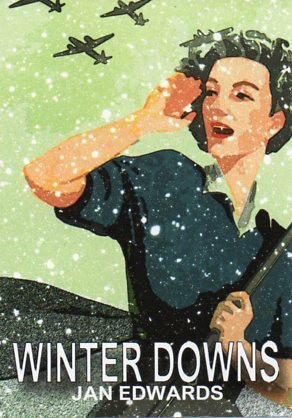 Those points led me onto my own specific problems with a planned crime series that starts with Winter Downs which is currently swirling around in the vortex of editing hell. It is not unusual to hear writers denounce the editing process as an outrage to their authorial integrity. But I am of the school who believes in the necessity of the skilled pair of eyes that is the editor. They spot not only repeated or misspelled words and phrases but also those clichés and continuity glitches which the writer is invariably too close to the script to see. That said the whole process is a long slog, one which can easily take up as much time as the original first draft. And once a manuscript has shuffled back and forth between myself and my editor for the umpteenth time... I for one begin to wonder what the hell I think I am doing. Surely I can’t be the only one who begins to doubt the book and themselves at this point in the process? That feeling of having been through every word so many times that they begin to feel not merely familiar but positively suffocating. A rhetorical question as I know others have voiced the same feelings of reaching the end of that long tunnel and (with apologies for the cliche) beginning to pray the light at the end really is a train. Time to step away, I am told. Time to indulge in something fresh, and, by distancing myself from individual words and phrases, attain some perspective and see it as a whole. All of the above flitted through my mind in less time then it took to boil the kettle for tea - from Jabberwocky to missed commas in under a minute in my butterfly mind, which makes such immediate and perplexing connections between tenuously linked subjects. Not something to inspect too closely, I suspect. It is time for me to move on to something new, at least until the editor has passed final judgement; time to get those juices flowing with a totally fresh project. Or there again... Maybe I can go over that tricky passage in chapter ten just one more time.